For Crashes in Windows 10, using System File Checker! The solution to find and run the System File Checker, for example to fix some crashes or problems in Windows 10, search for corrupted, missing, files or features! 1.) ... Start the System File Checker in Windows 10! 2.) ... Scannow System File Checker output! 3.) ... Other features in System File Checker! 1.) Start the System File Checker in Windows 10! The Windows 10 System File Checker need the original Windows 10 DVD, to restore the original versions of corrupted files, if any detected. (Image-1) Using System File Checker for crashes in Windows-10! 2.) Scannow System File Checker output! (Image-2) output from File Checker ! 3.) Other features in System File Checker! (Image-3) System File Checker features! Search for corrupted, missing, files or features Applies for: Windows 10 Pro, Windows 10 Enterprise, Windows 8.1, Windows 8.1 Enterprise, Windows 8.1 Pro, Windows 8, Windows 8 Enterprise, Windows 8 Pro, Windows 7 Enterprise, Windows 7 Home Basic, Windows 7 Home Premium, Windows 7 Professional, Windows 7 Starter, Windows 7 Ultimate, Windows Vista Enterprise 64-bit Edition, Windows Vista Ultimate 64-bit Edition, Windows Vista Business, Windows Vista Business 64-bit Edition, Windows Vista Enterprise, Windows Vista Ultimate. The solution is simple to customize the Auto-Play settings in Windows-10 e.g. enable or disable Content: 1. The AutoPlay in Windows 10 Settings 2. How to remove the OneDrive folder from File Explorer in Windows-10? 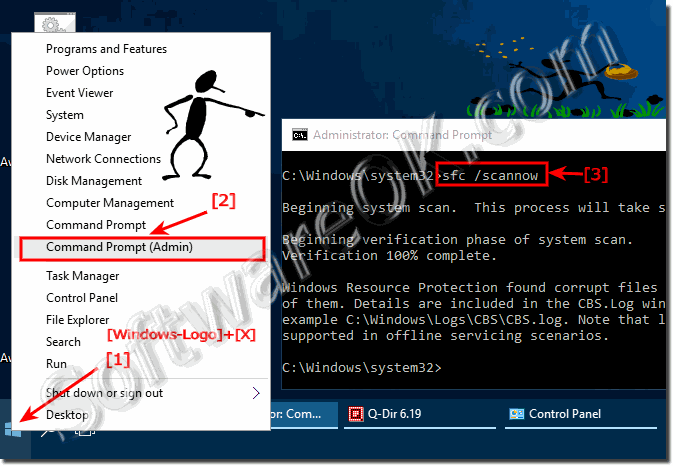 System File Checker utility for Windows 10 scan for corruptions? How to restore Windows 10 system files and restore corrupted files? Windows 10 System File Checker tool to scan your system files and to repair missing or corrupted? System files. is missing or is corrupted in Windows 10? Windows 10 functions may not work, or Windows 10 may crash. ?